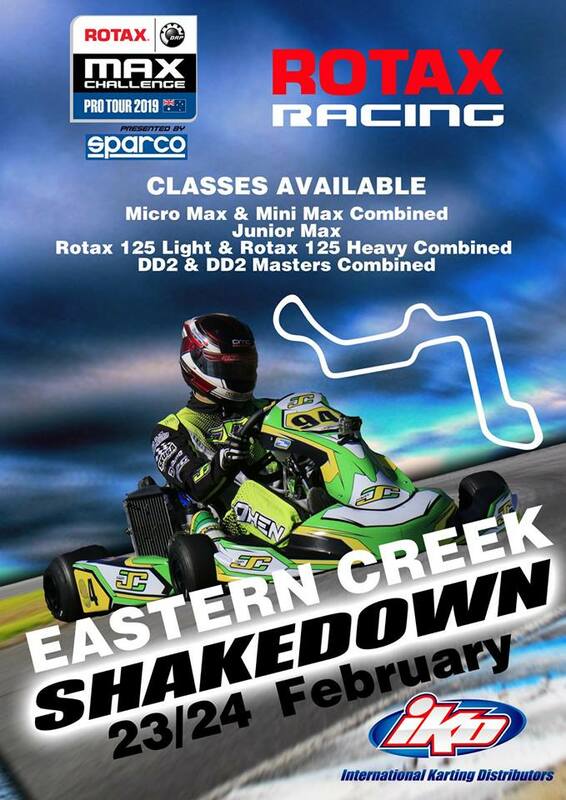 The 2019 edition of the Brian Farley Memorial at Eastern Creek is also now the official shakedown meeting for the second round of the Sparco Rotax Pro Tour. “With all classes on offer, this is the perfect opportunity to get in some practice and racing ahead of the NSW State Title Round” IKD advised. The meeting takes place February 23 & 24 with practice available on Friday the 22nd. DD2 & DD2 Masters combined. Entries for Junior Max, Rotax Light and Rotax Heavy are open now; the other categories will open shortly. Don‘t miss your chance to get some valuable racing in before the Sparco Rotax Pro Tour.